Dougie graduated from the University of Dundee in 1991. While at Dundee he won several prizes including the prestigious Claudius Ash prize for dentures. Originally from Melrose in Scotland, Dougie moved to Ballymena 1992, where he worked for 3 years before moving to a busy country practice in Portglenone, where he still works today. He has lived in Ballymena for 24 years now and is married with two school age children. 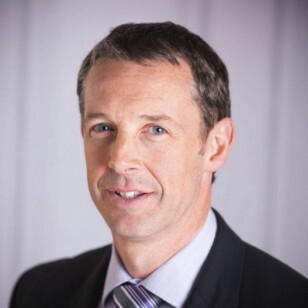 Dougie’s philosophy is that dentistry should be delivered in a friendly, relaxed way using the latest technology and modern techniques. In order to maintain this Dougie is continually undertaking post graduate courses, including recently, 3i Biomet’s “Synergy” implant restorative course and world renowned Tidu Mankoo’s 18 month Advanced Restorative-Surgical Dentistry Course. Dougie is also a Member of the British Dental Association. A keen sportsman Dougie competed internationally for Scotland & Northern Ireland at Athletics and in his school days he played Scottish interprovincial rugby then latterly socially at Ballymena Rugby club. He now limits his sport to the more leisurely activities of cycling & golf! 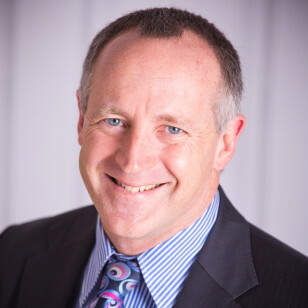 Chris Gocher qualified with honours from the University of Newcastle upon Tyne, studying between 1984 and 1989 and so can call on 30 years experience in dentistry. He has lived in Ballymena for 18 years having married local girl Lorna Barr, who is a Community Dentist at the Braid Hospital site. He has acquired extensive skills in modern cosmetic dental techniques over those years including specific skills in dental implants. He first ‘learnt his trade’ in a busy NHS and private practice in his home town of Southend on Sea, Essex. After a year backpacking around the world with Lorna in 1992, he worked for two years with Austin Stack in Ballymena before the family emigrated for 5 years to the Gold Coast in Australia. To carry out the high standard of cosmetic dentistry he experienced in Australia, when he returned to the UK he did a 2 year Certificate of Restorative Dentistry Course at the prestigious Eastman Postgraduate University in London. He then did his initial implant training at the Nova South Eastern University in Florida in 2003 and followed this by attending an advanced surgical course in Munich in 2006. He has run a private implant and cosmetic practice in Magherafelt for 15 years and has taken numerous referrals from other local dentists over those years. He is excited to now offer his skills to patients of Ballymena in this new purpose built modern Galgorm facility. He has three teenage children Maxine, Joel and Paul who all attend Ballymena Academy. To keep fit Chris spends some of his spare time cycling with friends through the Glens of Antrim. 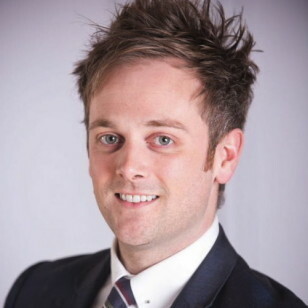 A past pupil of Ballymena Academy, Alan studied dentistry at Queens University Belfast. He graduated in 2010 and since then has worked in Ballymena building an excellent reputation for the quality of his work and his friendly manner. In the same time Alan has completed extensive post-graduate training, learning and providing the most up to date techniques in modern aesthetic dentistry. In 2011 Alan completed a one year restorative implant course, where he first met Chris and Dougie. This sparked Alan’s interest in implant dentistry and since then he has worked closely with Chris to provide implant solutions for many happy patients. In 2014 he completed a comprehensive 18 month restorative-surgical course taught by world renowned dentist, Tidu Mankoo. Alan was delighted to spend one to one teaching time at Tidu’s practice in London. Later that year Alan also travelled to the USA completing further surgical implant training at the University of Washington. His passion for providing dentistry at the highest level has allowed him the chance to work with some of the UK’s finest dental technicians, and his before and after photos are testament to their combined exceptional skills. Since 2010 Alan has completed numerous other courses on various aspects of modern aesthetic dentistry including dentures, aesthetic white fillings, dental photography and short term adult orthodontics. He is a recognized 6 Month Smiles provider. In his free time he is a keen musician and has been fortunate to gig in some far-flung venues, from Seattle to Nairobi and quite a few cities in between. Although you can usually find him in Belfast with his band in the Europa at Christmas time! Alan is also a keen motor sports fan and hopes this year to finish building his much anticipated rally car……. Watch this space! Alan is very excited to share his passion for modern dentistry, and is confident that Galgorm Dental will set new standards of quality and value in modern dental care.